A functioning computer is essential for modern business, student life, and entertainment. Whether you like to play the latest online games, or if you’re constantly researching for the next university assignment; a computer is an essential modern tool to have. With computers being so integral to how we work, play, and study, it’s no surprise that a non-functioning computer is a big deal. The good news is that a computer is rarely ever truly broken, and with PC repairs Leeds you can be back up and running, with minimal cost for most modern components. Take a look at any modern computer (it doesn’t matter if it’s a gaming PC or a basic multimedia or business PC), and what you’re looking at is simply an enclosure that houses a number of common components. Hard Disks and Solid State Disks. Even when looking at your peripherals like your mouse, keyboard, and monitor, these can all be replaced, and monitors can sometimes be repaired by a qualified technician, depending on the availability of parts. Repairs and replacements will cost a fraction of replacing your entire computer, and it’s even possible to have laptop repairs in Leeds, depending on the exact nature of the problem. Of course, computer repairs do require a level of technical expertise. Hardware and software problems need to be efficiently identified and remedied without the risk of future failure. That’s where MH Computers can help. As an established name in the Leeds PC Repair market, you can trust us to perform the best repairs using high quality OEM and third party hardware that will have your computer running to factory specifications. 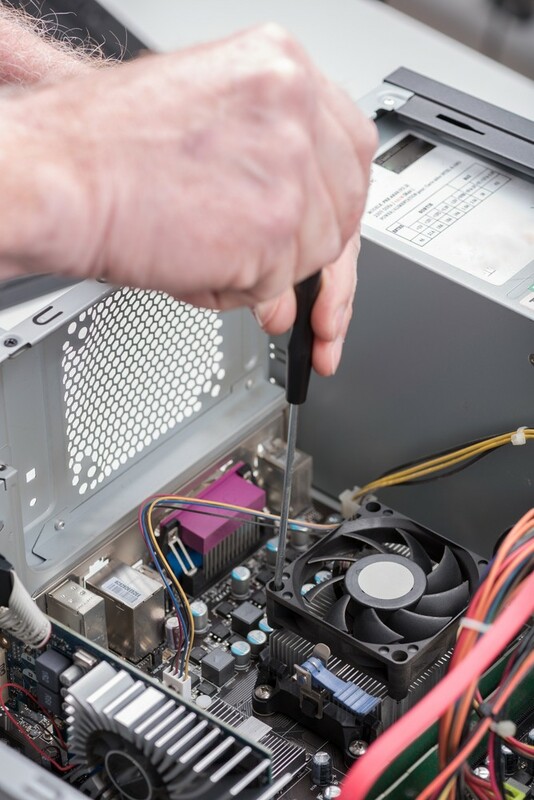 If you need repairs and have a little extra to spend, then we can even perform upgrades so that you get a more powerful and capable computer, for a relatively small investment when compared to buying a completely new system. If you’ve run into trouble with your computer, whether it be with software or hardware, always trust the best Leeds PC repair company. We’re available today to discuss any of your IT needs, with services for home, business, and schools or non-profit organizations.